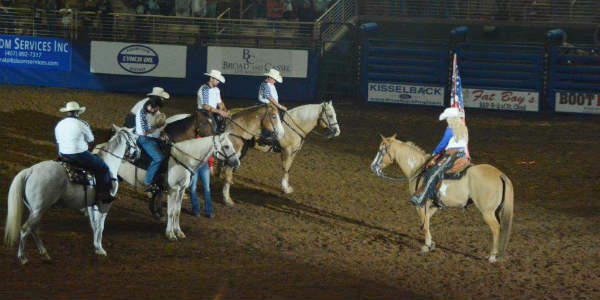 The 139th Silver Spurs Rodeo was in town last weekend, and this is always a family-friendly fun event. We attended the Friday, June 2nd show. There was supposed to be a big Schools Out Bash prior to the rodeo, however, the rain and storms made that an impossibility. We need the rain, so it’s ok. The evening began with the Junior bull riding. These kids are brave and have a great future ahead of them in rodeo. The National Anthem was sung by a very talented 8 yr. old boy. The tribute to our warriors was very moving. Thank you to all who serve in our Armed Forces. Then after a few indoor fireworks, the show began. Bronco riding started things off. That night proved to be a tough one for the cowboys attempting to stay on for 8 seconds. I’m not sure that anyone was able to do it. Maybe one guy out of all the riders. 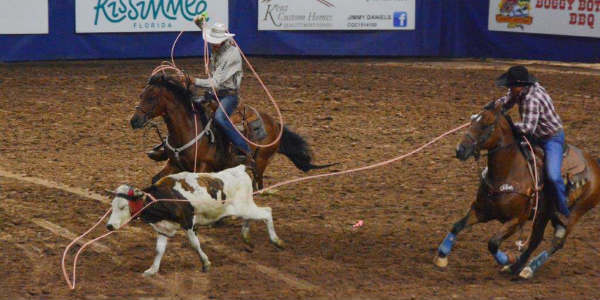 Calf roping proved to be difficult for these pros as well. This is not an easy sport. Timing has to be perfect. Jumping off your horse, catching the calf, getting it on the ground, tying it’s legs. All in a few seconds. 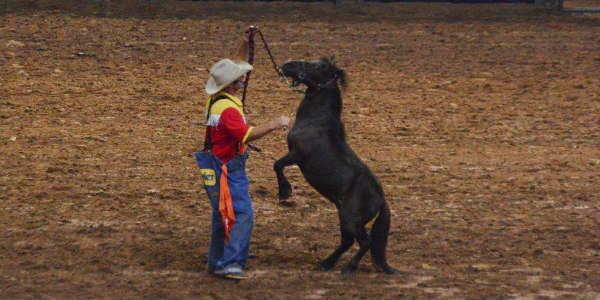 This event looks violent, but the calves are not harmed and get up and trot away, if they are caught at all. This proved to be elusive this night, but all the contestants were motivated, and did their best. Barrel racing was the first event after an intermission. 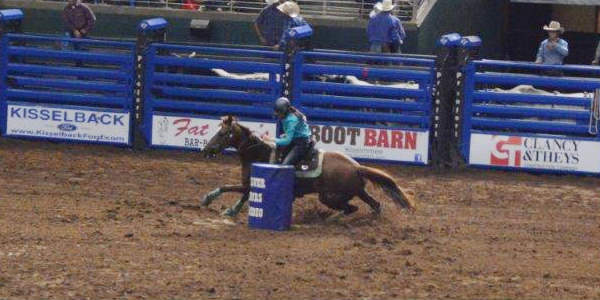 These horses and riders are amazing as they corner and go around the barrels. The speed is fast and the times are seconds. It’s exciting! The Junior Barrel racing category included 14 yr. olds, and an 8 yr. old that would not give up on her horse that did not want to do what it was told. She persisted and eventually made it through the course to a rousing round of applause. I hope this girl doesn’t give up. It’s a process to learn for both the rider and the horse. 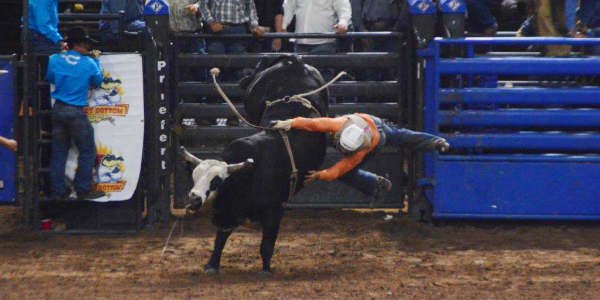 Bull riding was the final event in this edition of the rodeo. 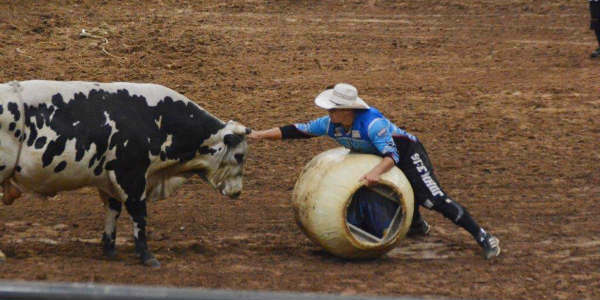 One bull tried to get out of the gate by climbing over it prior to its rider getting on. But they got him back under control. These bulls are intimidating from the stands. Getting on the back of one must be a real challenge. These men are brave. this always a crowd favorite. The 8 second time proved to be elusive for these riders as well. The rodeo clown was funny, and he was a nice break between events. I think the rain had thrown everyone off their best game. It was still a fun time for us. These folks are truly athletes. Obviously each event has its own physical and emotional demands, as in basketball, football, baseball, etc.. It may not have been their best night, but everyone continued to try to do their best. We always have fun at the Silver Spurs Rodeo, and we look forward to the next one. CitySurfing Orlando will let you know as soon as we have dates for the next one. Disclosure: CitySurfing Orlando received press tickets. As always, Carol’s opinion is honest, and her own. Carol is the family writer for CitySurfing Orlando. She has lived here for over 25 years, with her husband and two children - a pre-teen, and a teenager! They are always up for a new adventure or trying new places to eat, to make lasting memories as a family.